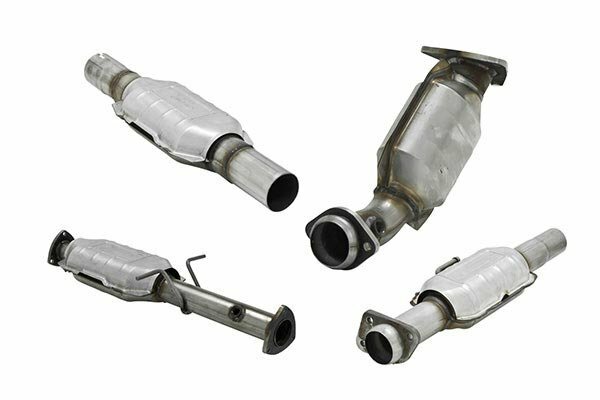 Flowmaster 2010021 - Flowmaster Direct-Fit Catalytic Converters (Federal EPA-Compliant) - FREE SHIPPING! I got this converter because my stock one from 1995 just wasn't cutting it anymore. The old one was rusting through and rattled, and I had good luck with the Super 50 Delta Flow, so I figured I might as well buy from the same company (made in USA is also a plus). It arrived on time and seemed to be very high quality. I installed it myself at the school's shop, but I'd highly recommend taking it to professionals...no more rattle and feels like the exhaust flows better now. I would buy again! 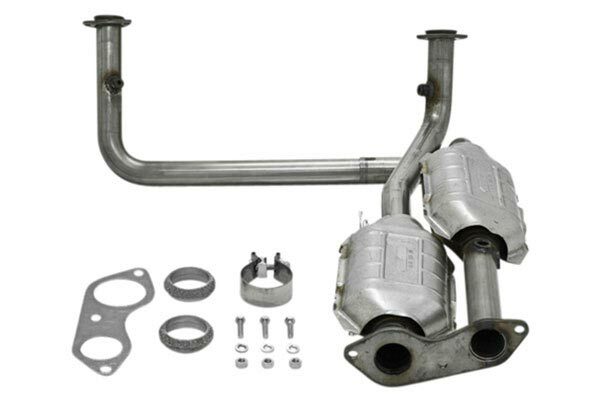 It looks good sounds good but the down pipe from the left side was 2 inches too long, the exit pipe from the cat was 1 1/2 inches too long, there wasnt any bolts for the cat to the muffler pipe, and there wasnt a plug for the O2-sensor hole. The angle was off a little. I made it work but connecting to my exhaust was/is causing vibration against the frame. Installed this on a 1994 GMC P/U fits perfect sounds great easy to install. Already have cat-back Flowmaster system on.Great price,great quality! This part bolted right in no problem. Did the install in 30 min on my driveway with one socket wrench and a 22mm o2 sensor wrench. Best thing was the low low price for a 49 state converter. Only blem with my part was a small dent caused by the bender dye in my rt side pipe flair. It was easy to tap out with a ball peen hamer. 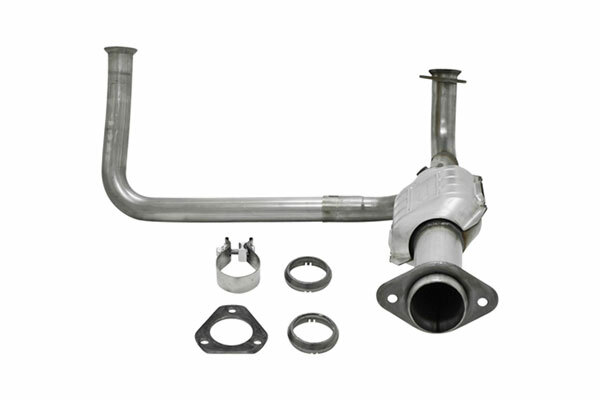 Reference # 760-871-385 © 2000-2019 AutoAnything, Inc.